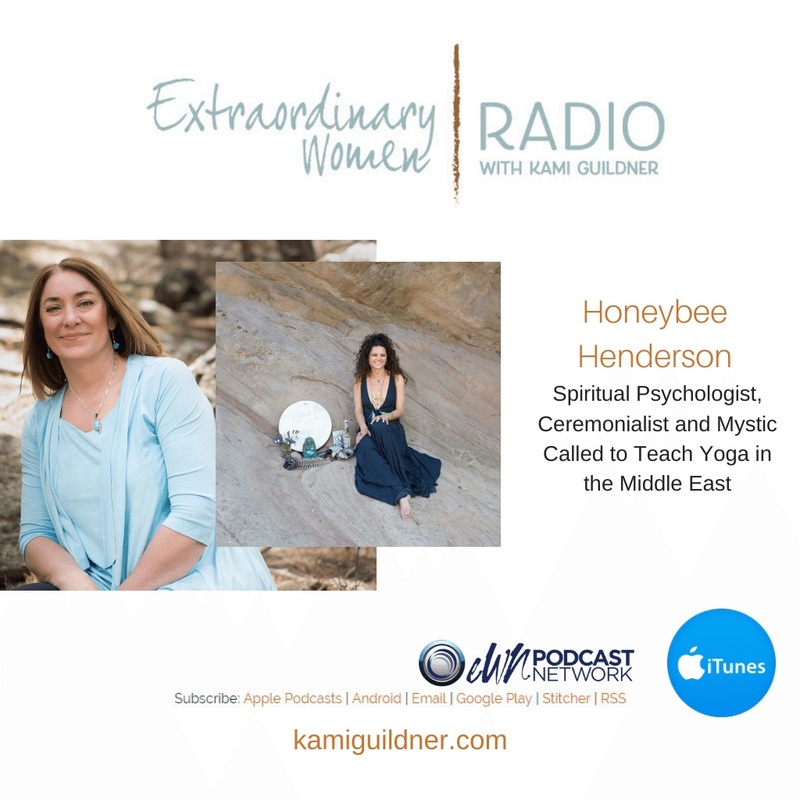 Today I’m bringing you a mystical gift with Honeybee Henderson as my guest on Extraordinary Women Radio. Honeybee joins us from Amman Jordan where she has been called to teach yoga in the Middle East. Honeybee is Spiritual Psychologist, a Ceremonialist, a Mystic and has traveled the corners of the world in search of the greatest tools to align to the true Self. And so we jam about being in flow. We jam about the value of being a woman and of learning how to relax the mind, the control mechanism, the nervous system… to allow more energy to move through us! If we, as women, start learning how to listen inwardly to that small inner voice, called intuition, each woman will be able to live a life on purpose. This is Honeybee’s dream. Honeybee blends over 20 years of ancient practices with modern-day science to support people in attaining and maintaining alignment, a state of consciousness that allows connection to Flow. She is an active seeker and student of shamanic traditions, yoga, tantra, NLP and Spiritual Psychology. She draws on the wisdom collected from saints and sages, Mother Nature and mystics, science and technology to support full activation of the human potential. To learn more about Honeybee Henderson, you can follow her on her website: www.honeybeehenderson.com or follow her on Facebook or Instagram. Wonderful interview! You are a great interviewer! I am Honeybee’s mom and thrilled to hear my daughters inner thoughts. It was a great understanding of what “flow” really means. I loved that you shared her message with the world. Thank you!